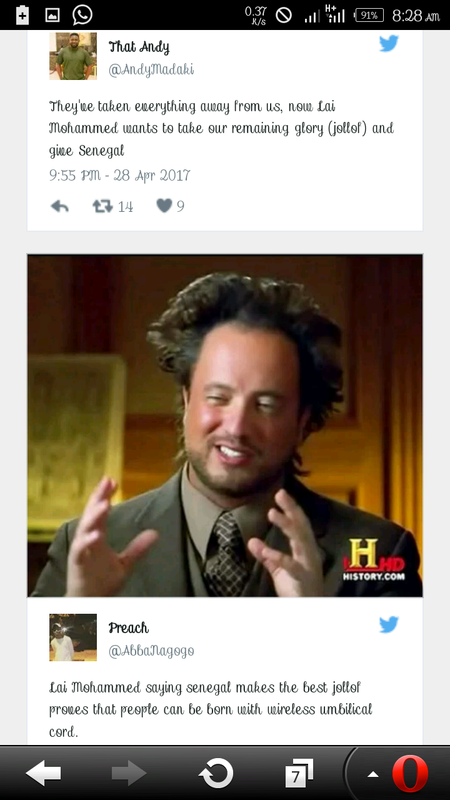 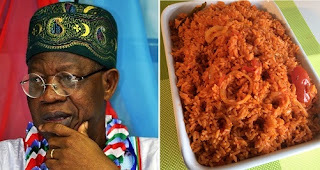 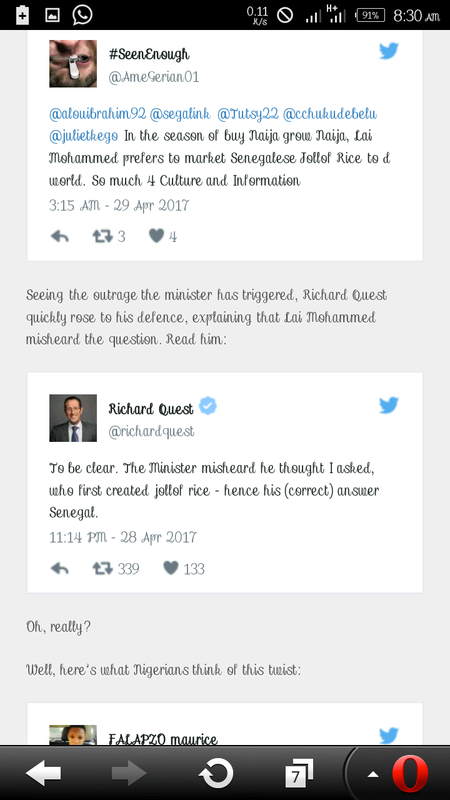 News Nigerians react to Lai Mohammed statement, Senegal prepares the best jollof rice. 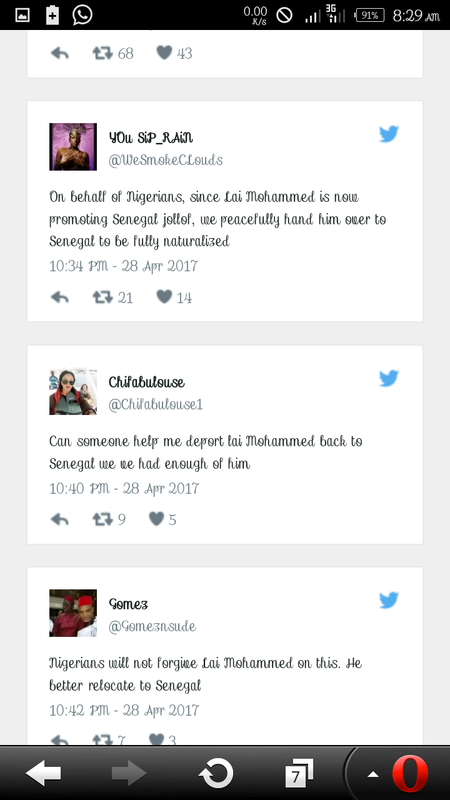 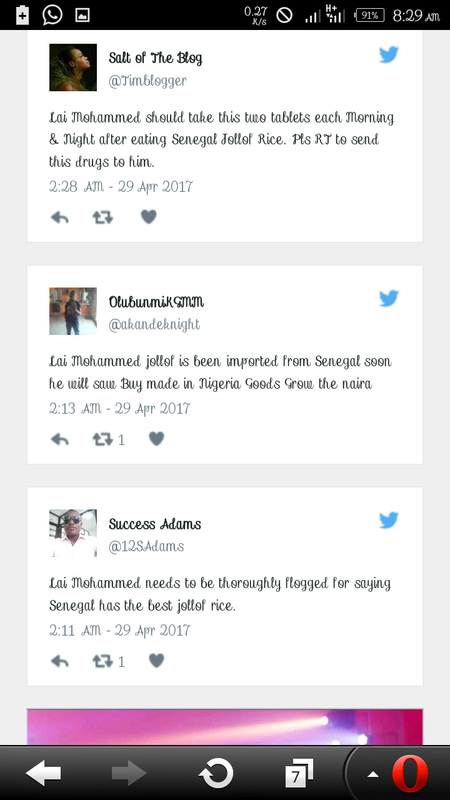 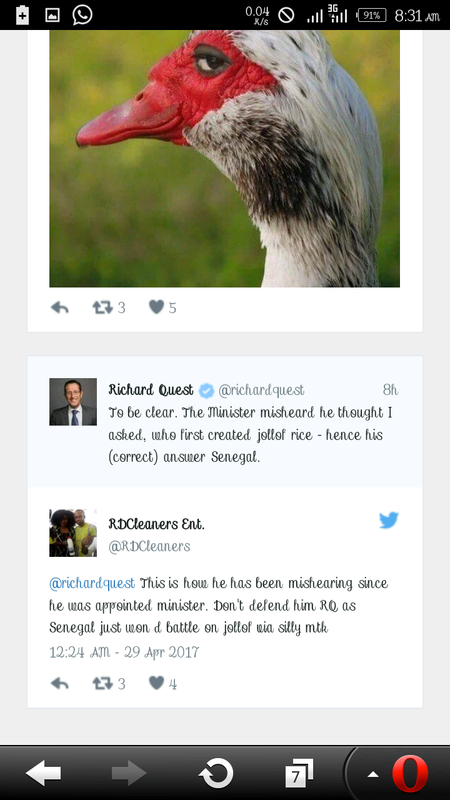 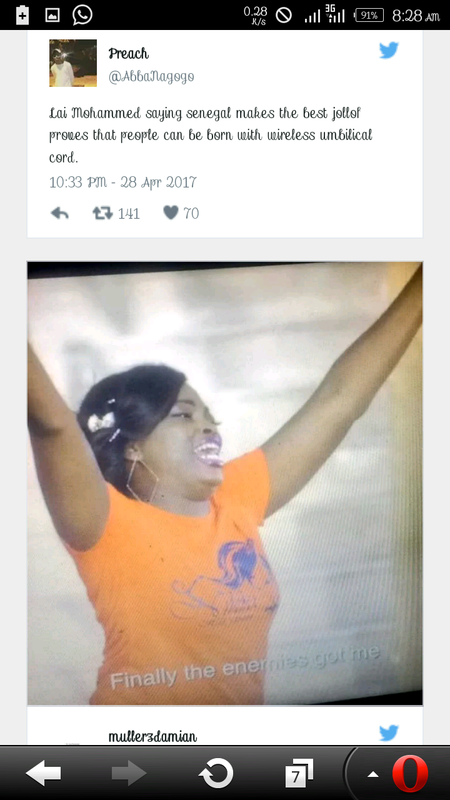 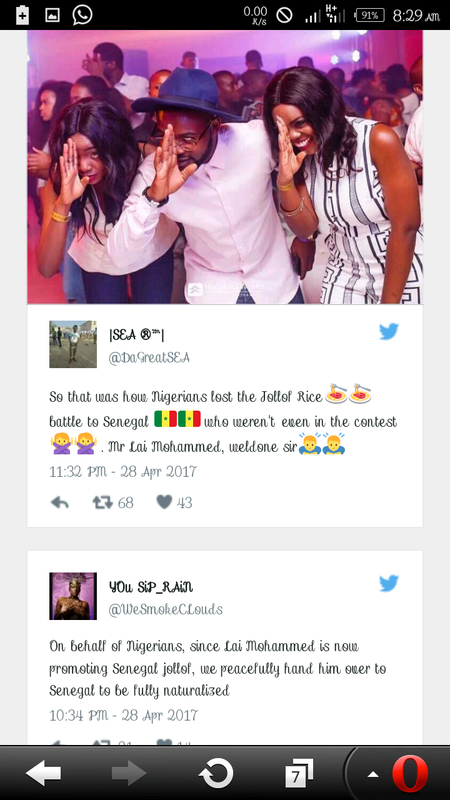 Nigerians react to Lai Mohammed statement, Senegal prepares the best jollof rice. 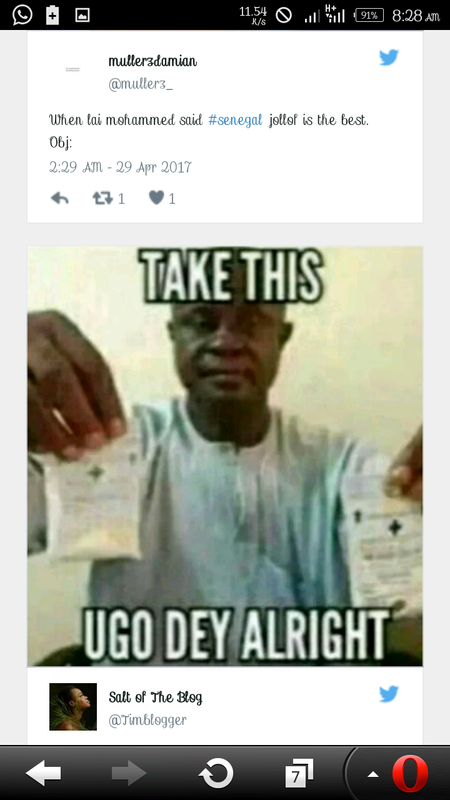 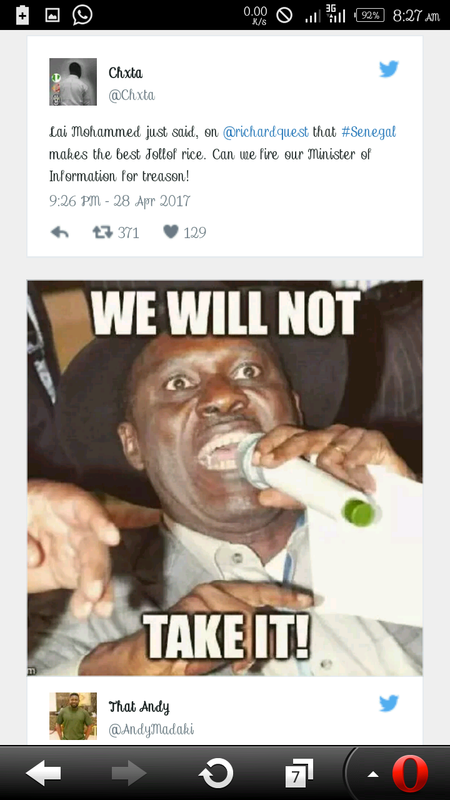 Nigerians will never forgive lai mohammed for trying to take the country's most prized possession to the mud. 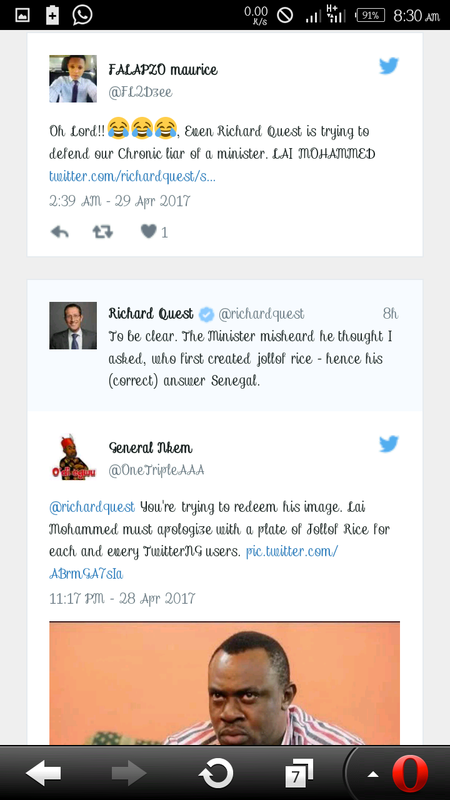 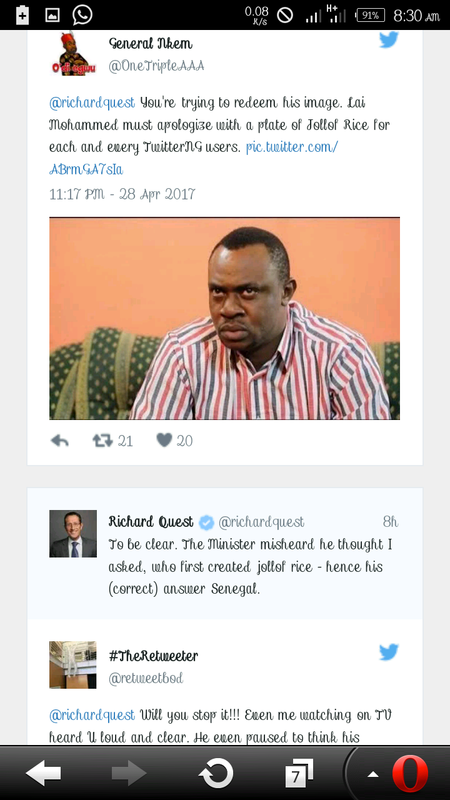 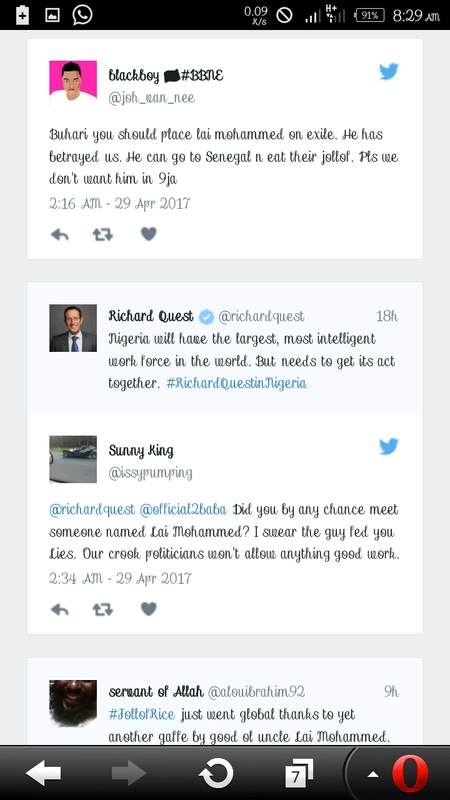 It all started yesterday when he was asked by Richard quest (cnn business reporter) about the country he thinks prepares or have the best tasty jollof rice? 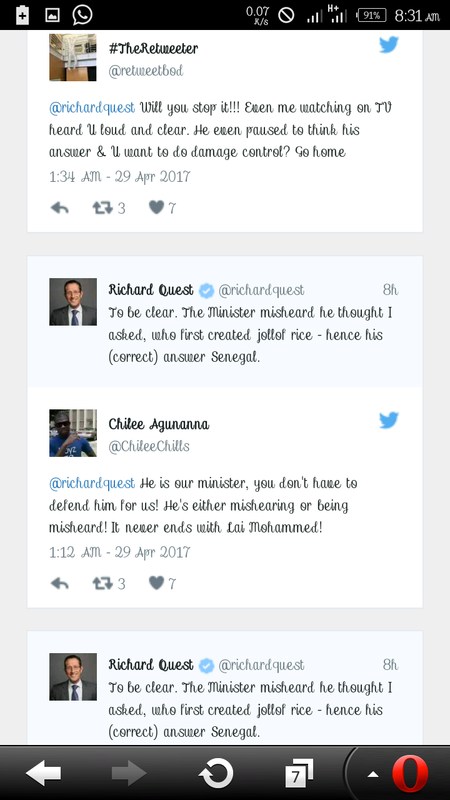 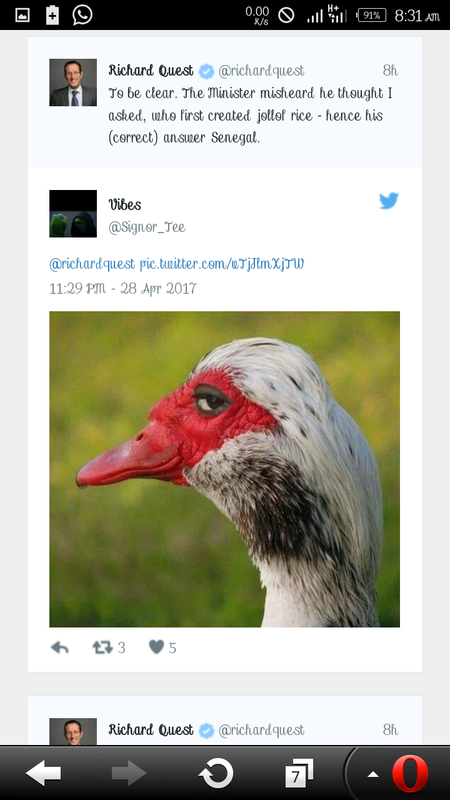 He responded without giving it a serious thought "Senegal" and now Nigerians assume that lai Mohammed is a traitor and as such should be treated like one. 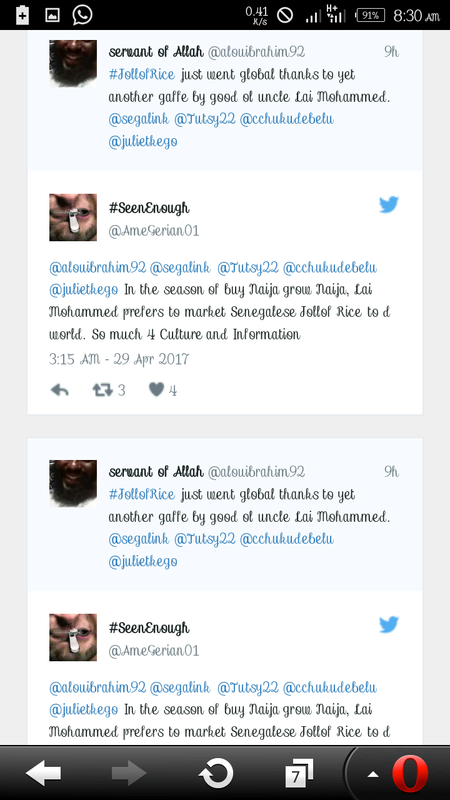 Because for many years , Nigerians have battled for the country’s honour , on Jollof rice, insisting that they prepare the best jollof rice .